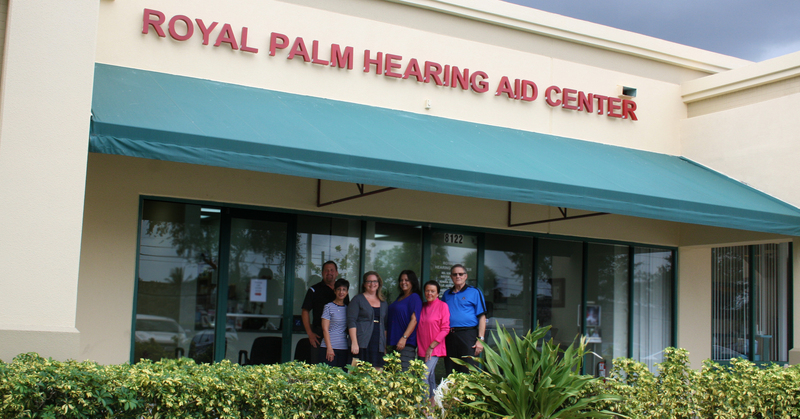 Contact the expert audiologists at Royal Palm Hearing Aid Center for hearing services, tests and therapies throughout Boca Raton, Fla. In October 1994, The Hearing Review ran a story by editorial director, Marjorie D. Skafte, profiling audiologist Mel Sorkowitz—as well as his peers Jim Curran, John Schuneman, and Otis Whitcomb—who had helped pioneer the role of “dispensing audiologist” in the hearing care industry. In the late 1960s and early 1970s, Sorkowitz and colleagues went beyond simply providing audiology exams; they began fitting patients for hearing aids and selling the devices directly to patients—rather than referring them to hearing instrument specialists as was the standard accepted protocol of the time. This development led to a years-long debate with the American Speech Language Hearing Assn (ASHA) and others regarding the role of the audiologist in dispensing. During this time, Sorkowitz decided to refocus his career on hearing instrument manufacturing. In June 1978, after consulting the US Attorney’s office in Washington and reexamining its Code of Ethics, the ASHA Executive Board made a change that permitted audiologists to engage in the retail sale of hearing aids. Mel Sorkowitz eventually returned to the world of private practice, when he and his wife, Sondra, opened their Royal Palm Hearing Aid Center in Florida. Several years later, their daughter Elissa became a licensed Hearing Instrument Specialist (HIS), and joined Mel and Sondra as a partner in the business. In December 2014, HR interviewed Mel and Elissa to get their current perspectives on all things hearing. HR: How do you think the challenges you faced as one of the early dispensing audiologists might have changed audiology? Mel: Can any audiologist today imagine practicing audiology without dispensing hearing aids? I think our early challenges around dispensing hearing aids have allowed audiologists to offer more to the patient. To give you an idea of how much things have changed, when I finished my graduate work at the University of Wisconsin in 1966, there really was no such thing as a “practicing audiologist,” and certainly not a dispensing audiologist in private practice. At that time, the career choices for audiologists were either to pursue speech pathology, teach, or conduct research. I ended up becoming sort of an itinerant audiologist, working for various ENTs in the Philadelphia area on a part-time basis. I was earning about $5 per hour, if you can believe that! Between my various jobs, and through discussions with colleagues, I got the idea to start dispensing hearing aids—to essentially function as what we now call a dispensing audiologist. That seemed to make more sense than to refer patients to a hearing aid dealer to get their hearing aid. This approach worked well, and I ended up opening 7 dispensing audiology offices around the Philadelphia area over a period of 5-6 years. Of course, once the doctors (ENTs) saw the success of this business model, they started using their own dispensing audiologists within their own office setting. They stopped referring their patients to me, and instead just referred their patients to the audiologist down the hall. That’s when I went into manufacturing hearing aids. I also wanted to provide other audiologists with business training, so I started offering 2- or 3-day training conferences in Colorado, providing sessions on the business side of audiology. HR: Despite your early challenges, you continue to work in the field as a successful dispensing audiologist. Would you say that today the audiologist’s role has developed in positive directions? Mel: Certainly the field of audiology has become more recognized by the public, and career opportunities are greater. In fact, some publications have cited audiology as a top-10 career. HR: Elissa, can you comment on how your father’s experiences and professional advice influenced your career decision? Elissa: My father was a pioneer in this industry, and being a pioneer in a relatively new industry also took its toll on our family. Don’t get me wrong—we have had an amazing life! My sister and I were raised in hearing aid offices and manufacturing plants. My first job was on an assembly line at a hearing aid manufacturing plant. I have always loved the manufacturing side of the hearing care industry. I never liked school, but I have always loved hearing aids, technology, and taking care of people. All of this influenced my decision to become a hearing instrument specialist. HR: Elissa, do you have an interest in expanding your own role from Hearing Aid Specialist to Audiologist? Or, since each of these roles is important to the industry, how can audiologists and hearing instrument specialists work together more closely? In our private practice, we have created a business model where patients sometimes want to see the audiologist, and that works well. Then we hearing instrument specialists will do the hearing instrument fitting and follow up. We have no problem moving between the appropriate roles and supporting each other. There is great synergy between us, and we have a lot of fun. I have no desire to go back to school and study audiology, but I strive to learn as much as I can about the amazing technology that’s out there so I can serve the hearing-impaired population. I think a hearing-impaired patient needs to trust you and your expertise, and also know that you will advocate for what is best for them. They see results with the highly personalized care we provide, so they trust us and keep coming back. I love the hearing care industry from a holistic perspective, and I’ve always approached my job as a hearing care professional by looking at the whole person to customize and personalize the care I provide. HR: What commonalities do the Audiologist and HIS professions share and how do they complement each other? Mel: As an audiologist, I have great respect for the technological knowledge that Elissa brings to the field as a hearing instrument specialist. Her expertise is indispensable to me, and her knowledge is key to our business. Audiologists sometimes refer to hearing instrument specialists as their “audiology assistants,” rather than referring to them as “colleagues.” The fact is, these two professions really do complement each other, and I think that audiologists and hearing instrument specialists need to work together with mutual respect. HR: Do you think the different training experiences that audiologists receive when they earn their doctoral-level designations, (ie, CCC, AuD, PhD) can complement each other for better efficiency? Mel: It’s all a matter of perception. I obtained my AuD degree when I was 64 years old, and frankly, I still have a hard time referring to myself as “doctor.” But perhaps that’s just me. Most of our patients would rather see my daughter the hearing instrument specialist. She is much prettier and nicer, and certainly more technologically proficient than I am. Young people who are earning their doctoral designations in audiology really need to think carefully about what they want to do in the audiology field. They need to consider their direction, and whether they want to become an employee of one of the “Big Box” retailers. This is a similar direction to the one pharmacy is headed in, whereby you don’t see many privately owned pharmacies anymore. Pharmacists are becoming employees of the big pharmacy retailers like CVS and Walgreens. HR: Do you think now is a good or bad time to enter the field of audiology? Where do you think the greatest opportunities are for audiologists today? Mel: What I see a lot of the young people doing as they obtain their audiology degrees is going to work in ENT offices or big box stores. Unfortunately, I don’t know of any audiology degree programs that teach how the business of hearing aid dispensing is done. For example, a graduate coming out of dental school has had advanced coursework in practice management, and knows how to run a business. If an audiology graduate’s goals are more clinical, certainly the field of vestibular and clinical diagnostic audiology is interesting and wide open. However, when it comes to private practice, hearing aid dispensing is the financial engine that runs the practice. We have amazing opportunities right now. But unless the audiologist becomes proficient in business and develops a new professional identity in the private sector, it is my belief that the profession of audiology is in danger of going the same way as pharmacy [with most pharmacists going to work for chains]. I would hate to see this happen. HR: Do you see stronger partnerships between physicians, audiologists, and hearing instrument specialists as a positive development in the hearing care field? Mel: I’m not terribly optimistic about partnering with physicians, I’m afraid, due to my past experiences. For 10 years I had 7 private-practice dispensing offices in Philadelphia, and most of the otolaryngologists in the area referred their sensorineural hearing-impaired patients to me. When the physicians saw how successful I was in this niche, they began to dispense hearing aids themselves. That’s one of the reasons why I gave up my offices, and purchased the Vicon manufacturing facility in Colorado Springs in 1978—so that I could sell hearing aids to the otolaryngologists who had started dispensing hearing aids. I think those of us in private practice in the hearing care industry ought to develop our own distinct professional identity. It doesn’t matter what we call ourselves, as long as we’re serving our communities ethically and efficiently. HR: When Mel started dispensing hearing aids, there were a lot of single-line dispensing offices. Then the trend moved to multi-line independent offices. Today, there is a trend back toward manufacturer- or network-owned single-line (or limited lines) offices. What impact do you see in these trends on a business such as your own? Elissa: I think our industry needs a makeover! I would advise anyone going into private practice without a manufacturer behind you to go multi-line and carry the Big Six. It’s a lot of work and requires a lot of training, but it pays off, because that way you can meet the needs of a wide range of patients. Let’s face it, in some ways the manufacturers are our competition. They know everything about our practices. We need to find ways to level the competitive field, the pricing, and keep us relevant. They need distribution as much as we need to sell hearing aids, and the manufacturer has now gained the longer dollar and more control. Mel: We love the fact that, by being multi-line, we are not beholden to one manufacturer, and we have access to all of the best technology on the market. It is really not sensible to restrict to one manufacturer and its technology when there is such unbelievable technology on the market to cover all hearing impairments. HR: The topic of competition has been covered in many sessions at industry conferences, as the hearing care industry becomes a more competitive marketplace. How do you feel about the competition posed by the so-called “Big Box” hearing aid providers, PSAPs, and the Internet? Elissa: I think if we are doing our jobs, we shouldn’t worry so much about this. I think the Big Box retailers of the world will force the strong to survive and emerge. The average user buys at Costco once. Our patients come back over and over, and send their friends. 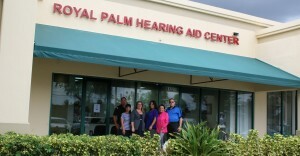 This is because we have become a resource in this community for so many things, not just for hearing aids. 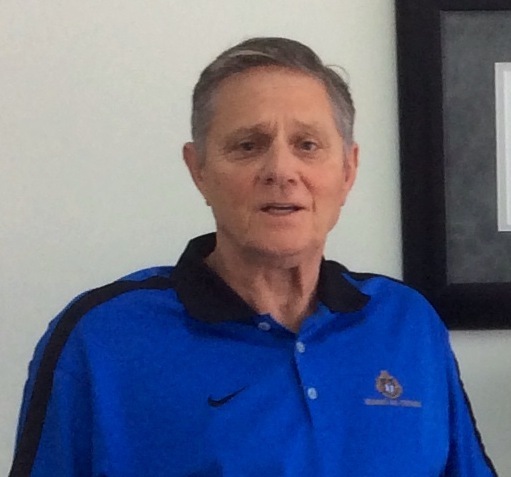 However, it should be acknowledged that we have been in practice in Boca Raton, Fla, for 30 years. HR: Are there other sources of competition for you in the industry or in your local area? As an audiology business owner, what can you do to stay ahead of the competition, and what might be the best direction for a private business owner like you to take for sustained growth? Mel: We have been successful through the years by always being truthful in our advertising. We see a lot of antiquated advertising done in our area by hearing aid professionals that is bordering on unethical. Consumers in our area seem to be catching on and responding to more truthful and ethical advertising. The most difficult part of our business is getting people in the door. Fortunately for us, we don’t have to resort to chicanery to bring people into our office. We have established our brand and credibility. Elissa: The technology in the hearing care field has advanced, and what is available to patients today is amazing. Our audiology businesses need to offer that technology and be knowledgeable about it. We need to make our offices more interactive and comprehensive so that people coming in get a holistic experience. Mel: We need to be a “one-stop resource” and offer patients everything they need in hearing care—all in one place. Elissa: We have to offer expertise and quality care. I’ve worked on the manufacturing side of the hearing care industry, and on the hearing aid dispensing side, and my dad is the best audiologist I’ve ever seen. That’s why he’s been so successful. It’s one of the primary reasons our business has succeeded for 30 years. HR: What advice do you have for family-owned hearing care business owners? Are there useful ground rules you have that help you effectively maintain a business and your close personal relationships? Elissa: We really try to leave everything at the office and I would say we’re pretty good about that, most of the time. We have our moments, but it’s been a great ride and I wouldn’t change a thing. My dad and I have always talked business at 6 am for all of our years together. It’s one of the things I cherish most. The other side of that is sometimes I have to tell both of my parents to shut it off. My mom runs the financial or business side of our business, which is key. I give kudos to my mom for her business education background, which is instrumental to the success of our business. She is also a hearing instrument specialist, so she gets it, and that makes things easier! The Sorkowitz family has recently moved one of their two offices to a much larger facility, and they have found that the additional space further improves their professional-personal relations. When asked if her two adult children will enter the business to continue the family’s legacy in the hearing care field, Elissa reported that one is currently getting licensed to enter the hearing care profession, while the other is devoted to working in the entertainment field. Elissa joked that the only way her second child would work in hearing care would be if a media network decided to produce a reality show about the Sorkowitz family and their audiology business. It would be a show worth watching! About the author: Christa Nuber is associate editor of The Hearing Review. Her email is cnuber@allied360.com.